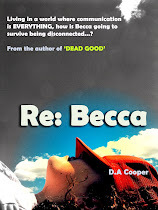 Debs Riccio: Anybody Miss Me? 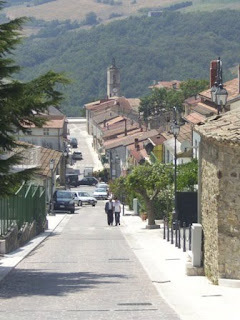 So I've been here... and "Here" is Ginestra degli Shiavoni in the beautiful Italian mountains. And I can honestly say with hand on slowed-down-heart that it is probably the most beautiful place I've ever been to, seen or even wanted to go to. It's beauty cannot be described, and I'm generally quite handy with a description or two - but this was breathtaking. And I thought Dorset was pretty amazing - ha! Just goes to show how untravelled I am! You HAVE to click to embiggen that picture because it REALLY is that gorgeous. And yet the only visitors it gets are the children/grandchildren of the folk who live there. Population 300, btw. 300! I know! This is one seriously chilled out place. And it's not just the scenery that's beautiful. The people who live there have to be the nicest, kindest, friendliest people I've ever met. Old guys will sit and play cards with the kids and teenagers actively seek out the 80 year olds and buy them a drink at the (non alcoholic) street bar halfway down the main road. I even met people there I want to know for the rest of my life - and yet I don't speak the language. Yet. I'm working on that part. So, the place is gorgeous, the people are special - and what can I tell you about the food...? O.M.G... the food. My taste buds lost their virginity on the first forkful the very first day we stepped into Mama's kitchen. Homemade spinach and ricotta ravioli and meatballs with bread picked up fresh that morning from the bakery down the road. Huge beef tomatoes picked from the garden and Rum Ba-Ba's from the Patisserie that I shall be salivating after until our return. It feels like I've been away for a month because of the 2 sleeps per day. And I feel like a new woman ( just hope The Hubs doesn't). I could go on and on about this place, it's just incredible. If you want to be chilled, spoilt, return to good old fashioned values and have your faith in human nature restored, then you have to visit Ginestra. It's off the map; a different world. Welcome back, Debs. Lovely to see you looking so chilled and relaxed. It obviously did you the world of good. Wow. What a place. Seriously. WHAT a place. Just gorgeous. It sounds and looks idyllic. Please take me with you the next time- I promise I'll be good. Y'know what,Michele, the minute I get a book deal - that's where the launch party will be!